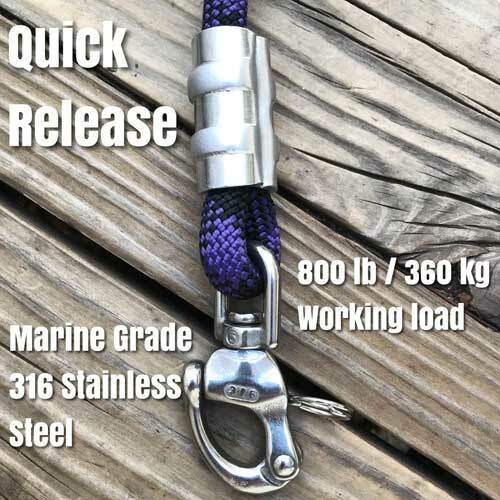 Velocity Climbing Rope Dog Leash. 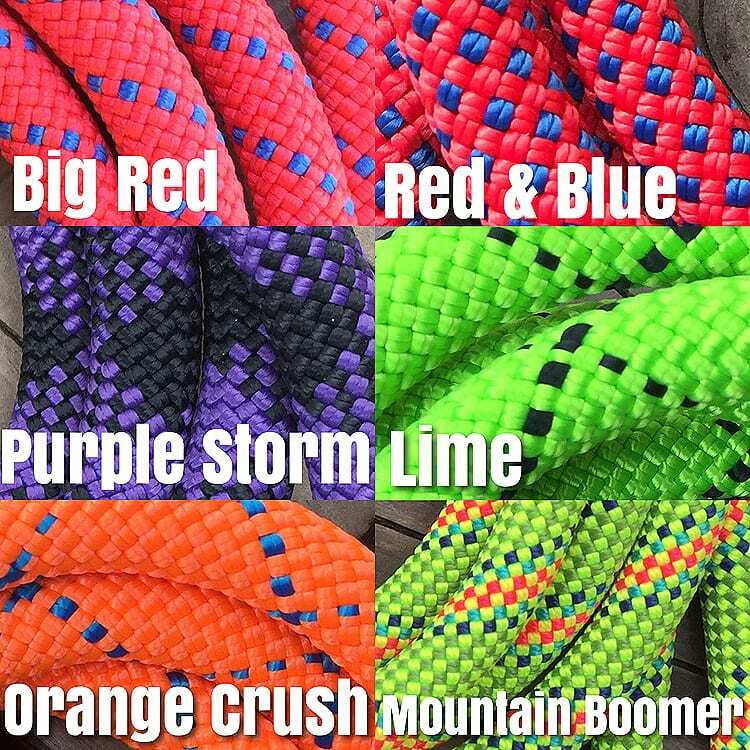 Designed for medium to extra large dogs, our custom dog leashes are built with only the best materials. 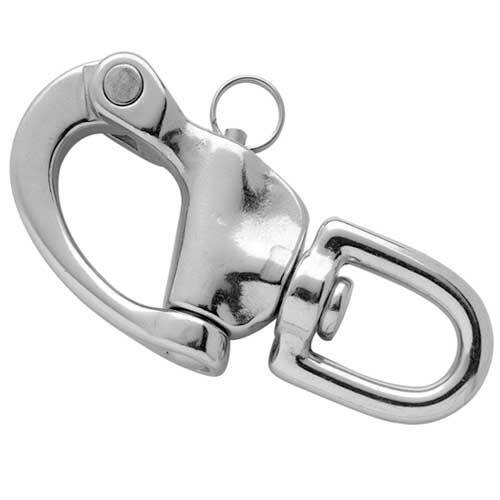 The marine grade 316 stainless steel clips we use are stronger than most other clips found on lesser quality leashes. 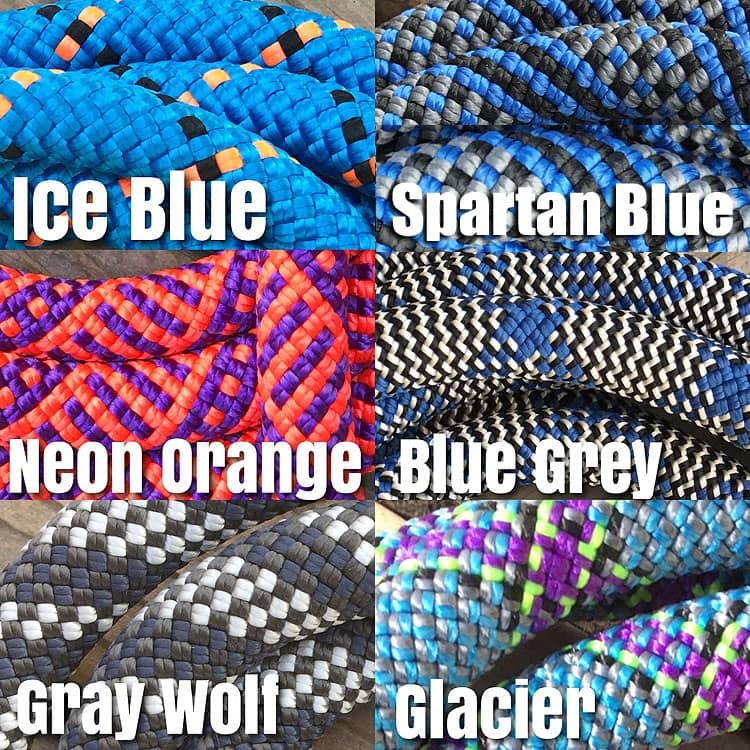 The climbing rope we use is new, not recycled or refurbished. It’s first rate and strong enough for the largest dogs. Although recycled climbing rope makes for a suitable dog leash, we prefer to trust in the use of new climbing rope when it comes to the safety of our dogs and yours. 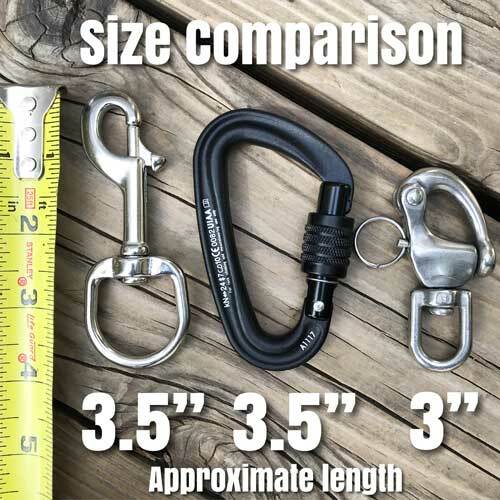 An optional compact locking carabiner is available should your dog need the additional strength and safety. 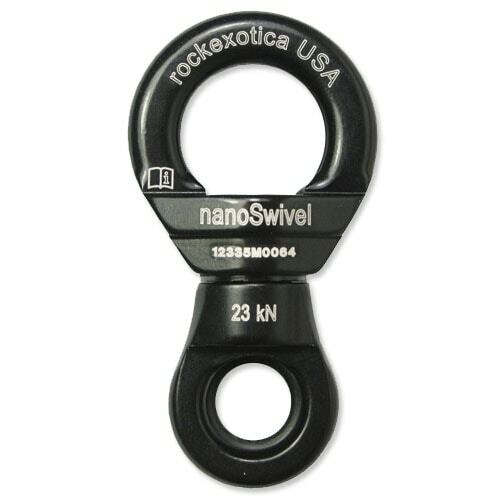 This climbing rope dog leash can be upgraded to our ultimate dog leash with the addition of a 360° nanoSwivel. 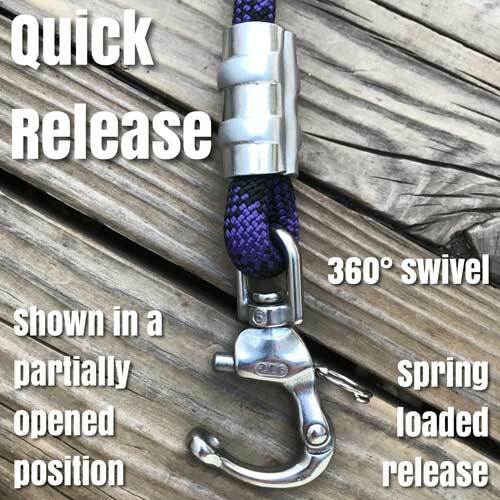 This is a unique swivel designed for climbers and rescue work. 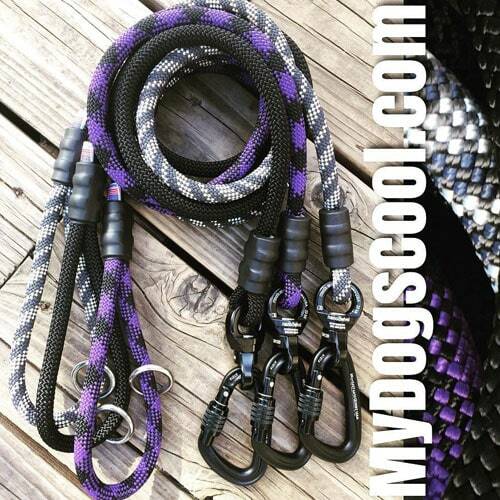 Its small size and light weight make it very suitable for use on our custom dog leashes. 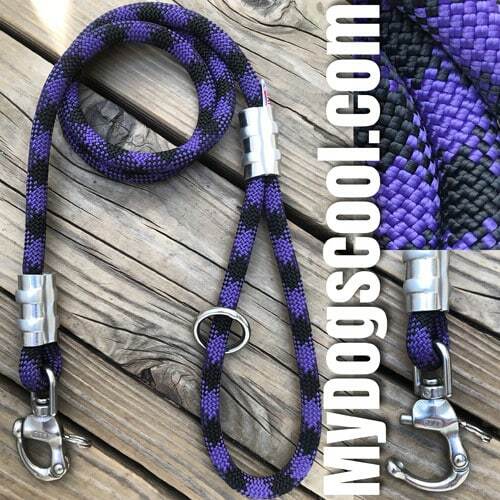 The ends of our dog leash are secured with customized aluminum sleeves for a permanent connection. Although this method of assembly is being copied by others, it is original to our climbing rope dog leashes, and we do it best. I was nervous buying this leash sight unseen, especially for the price but all those worries went out the window when I opened the box. It is extremely well built and strong, quality parts, I don't know how I've ever lived without this thing. Gave this as a gift because I loved my leash so much, hope they liked it as much as I did. Really awesome leash. Great quality and definitely eye catching. The SS clip and aluminum hardware were a bit heavier than anticipated for my 35ish pound pup. But I would buy again. This leash is awesome. We received it sooner than expected. It is worth it's weight in gold.